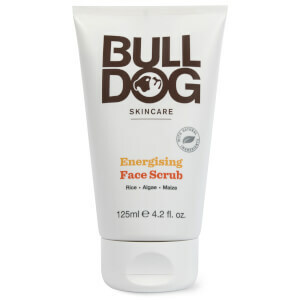 Refine your skin with Bulldog Sensitive Face Scrub, a gentle facial exfoliator to smoothen skin's surface. 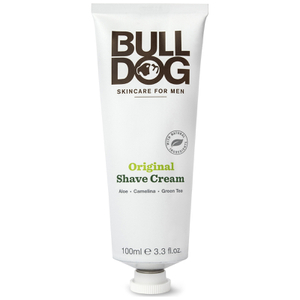 Specially formulated for men, the scrub contains a cocktail of beneficial ingredients, including Quinoa, Willow Herb, Baobab Oil and Oat Oil to delicately slough away dead skin cells and reveal a brighter, more energised complexion. Performing a deep cleanse on pores, it will promote improved clarity and freshness. Aqua (Water), Coco-Glucoside, Stearic Acid, Cetyl Alcohol, Glycerin, Glyceryl Stearate, Cetearyl Alcohol, Chenopodium Quinoa Husk Powder, Prunus Amygdalus Dulcis (Sweet Almond) Shell Powder, Phenoxyethanol, Acrylates/C10-30 Alkyl Acrylate Crosspolymer, Benzoic Acid, Adansonia Digitata (Baobab) Seed Oil, Dehydroacetic Acid, Avena Sativa (Oat) Kernel Oil, Triticum Vulgare (Wheat) Germ Oil, Epilobium Angustifolium (Willowherb) Flower/Leaf/Stem Extract, Sodium Hydroxide, Sodium Metabisulfite, Tocopherol. I am a woman and ordered this when reading the ingredients. It's a nice scrub (non-abrasive). The harder particles are sparse, but it still does a great job of cleaning while moisturizing skin. 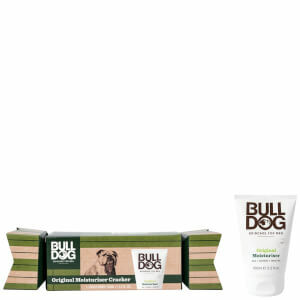 What a great line for men who want to take care of their skin! 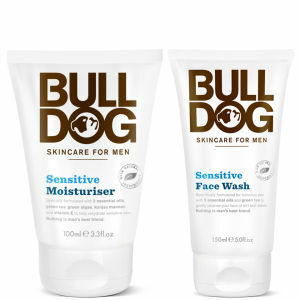 I would recommend this line of product to men (and I will use them as well due to the good ingredient list. The smell is not overwhelming and does not stay, so it is perfectly fine for women as well). All in all a great product.